What a shame! This once to be, multi-million dollar property will be up for Sheriff Sale Friday May 21, 2010. The sale will be held in the main lobby of the Somerset County Courthouse, 300 North Center Avenue, Somerset, PA 15501 at 1:30 PM. This 5.95 acre parcel was purchased in 2004 for $255,000. It’s lot #5 known as 154 Ptarmagin Way. The building process began quickly and according to the sellers disclosure the roof was installed in 2005. However, the house itself was never completed and has weathered several winters without heat. 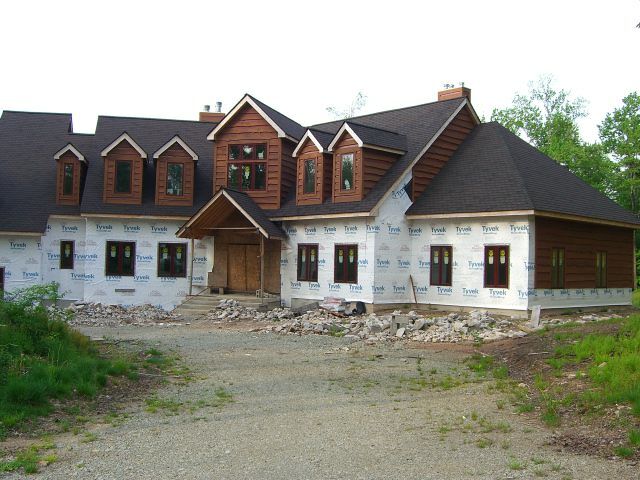 This two story dwelling has 5 bedrooms, 6 baths, 5 fireplaces, and a 3 car integral garage. The deed book number is 1788 page 14. We see someone with their own construction company being the successful bidder of this one! According to the sheriff’s department all interested parties should do a lien search PRIOR to bidding to see who is in the first lien position. If you are the successful bidder you will need to have 10% down (cash or certified funds) and the remaining balance paid before the following Friday. This is a rare occurrence at Seven Springs! One reason for that is since real estate development began there has NEVER been a case of overbuilding! It’s all about supply and demand. Pheasant Run is a gated community with 31 parcels ranging from 3 to 12 acres. There are still 8 parcels offered for sale according to the Seven Springs web site.